On June 27th 2013, the Wisconsin State Fair held the Professional Wine Competition at the Wisconsin State Fair Grounds in Milwaukee, WI. It was very clear from the beginning that this was a significant event that required major planning by the organizers, thoughtful choice of submissions by the wineries, and a small army of volunteers to orchestrate the blind tasting of 159 wines to be tasted by six judges. Brian Bolan is the Agriculture Director for the Wisconsin State Fair and was a key component to arranging the contest, along with members of the Wisconsin Grape Growers Association, Wisconsin Vintners Association, and the Wisconsin Winery Association. The judges of the competition were: Katie Cook, who earned her master’s degree in Enology from the University of Burgundy. Cook has been the Enology Project Leader at the University of Minnesota since 2012. Amber Mihna who merchandises, educates and consults for a statewide wine distribution company. She is highly respected by her peers for her creative and auspicious approach to marketing the wine industry. Gordon Rouse has been involved in amateur winemaking since 1990. He is actively involved with the Minnesota Grape Growers Association, Purple Foot Wine Club and the American Wine Society. Rouse is an American Wine Society Certified Wine Judge and has judged wine competitions throughout Minnesota, Wisconsin, Illinois and in the American Wine Society Amateur and Commercial Divisions. Jaclyn Stuart is the co-author of “The Complete Idiot’s Guide To Wine & Food Pairing” and is a certified sommelier with accreditations from the Court of Master Sommeliers, the Wine & Spirits Education Trust and the French Wine Society. Stuart is currently the owner of Vintage Elkhart Lake and teaches wine courses for the Midwest Wine School. In 2011 Stuart was named the Top New Sommelier in the Great Lakes Region from the prestigious Guild of Sommeliers. And finally, myself, Heather Harrison who developed a passion for wine which led to starting the Wisconsin Wine and Beer Tours business. Educating people about Wisconsin’s booming wine industry and viticulture is the pursuit and goal of my endeavors. The Competition used the UC Davis 20 point system to help guide the judges to determine if the wines were Gold, Silver, Bronze or no medal. Characteristics evaluated were, clarity, color, bouquet, acidity, sweetness, body, flavor, bitterness, astringency, and overall quality. There were eight Divisions of wines, with many classes within those divisions. 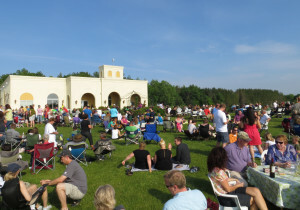 Parallel 44 Vineyard (pictured above) and their new winery, Door 44 Winery, won two double gold medals and one gold medal at the Wisconsin State Fair Wine Competition. Division 1 — Red (75% or more cold hardy WI grown grapes) which had many great wines from Marquette, Marechal Foch, and Frontenac grapes, as well as other Red Blends. The Gold Medals went to Vetro Winery for the Leon Millot grape wine, and Weggy Winery’s Red Blend which took Gold and Best of Division. Division 2 – Blush/Rose (75% or more cold hardy WI grown grapes) which Door 44 Winery, a newer winery that opened this year by the owners of Parallel 44 Vineyard and Winery, received a Gold medal and Wollersheim Winery received Double Gold and Best of Division. Division 3 — White (75% or more cold hardy WI grown grapes) had grapes such as Brianna, Edelweiss, Frontenac Gris, La Crescent, LaCrosse, and St. Pepin. The Gold medals went to West Prairie Winery, Parallel 44 Vineyard and Winery, Dancing Dragonfly Winery, and the stand out in this category that took Double Gold and Best of Division for their White Blend was Frozen Tundra White by Parallel 44 Vineyard and Winery. Division 4 — Dessert (75% or more cold hardy WI grown fruit) Danzinger Vineyards received gold for their Late Harvest style wine. Other Gold medals in this division went to the Port Style wines from Sandstone Ridge Vineyard & Winery, White Winter Winery, and Spurgeon Vineyard & Winery which also won Best of Division. Division 5 — Sparkling (75% or more cold hardy WI grown grapes/fruit/honey) had one Gold that was selected from Orchard Country Winery. Division 6 — Non-Grape (75% or more cold hardy WI grown fruit) had classes such as apple, pear, strawberry, blueberry, cranberry, cherry, mead, and blends. Golds in this category went to Door Peninsula Winery, Spurgeon Vineyard & Winery. Orchard Country Wine was awarded Gold and Best of Division. Katie Cook from the University of Minnesota at the Wisconsin State Fair Wine Competition. Division 7 — Grape/Non-Grape Blends (75% or more cold hardy WI grown fruit) was a category with no Gold, but Danziner Vineyards was awarded a Silver. It should be noted here that there can be a fine line between Gold and Silver, and more subtle characteristics can be found in the Silver medal winners which creates very flavorful and interesting wines to try. 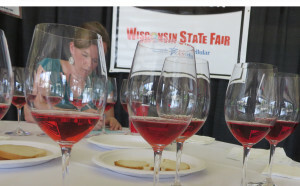 Division 8 — Wines Produced from Out-of-State Fruit (less than 75% WI grown fruit) had a variety of red, blush, white, dessert, non-grape, and grape/non-grape blends. Gold went to Cedar Creek Winery, River Bend Vineyard & Winery, Wollersheim Winery, Door Peninsula Winery, with Infinity Beverages Winery & Distillery receiving two Golds in two different classes, and Double Gold going to Door 44 Winery. The Best Wisconsin Wine (75% or more cold hardy WI grown grapes) went to Wollersheim Winery’s Prairie Blush. Wisconsin’s professional wine makers show off their best work at the State Fair and the quality of wines at this competition was impressive. Please view a full list of the results of the competition at Wisconsin State Fair Professional Wine Competition 2013. 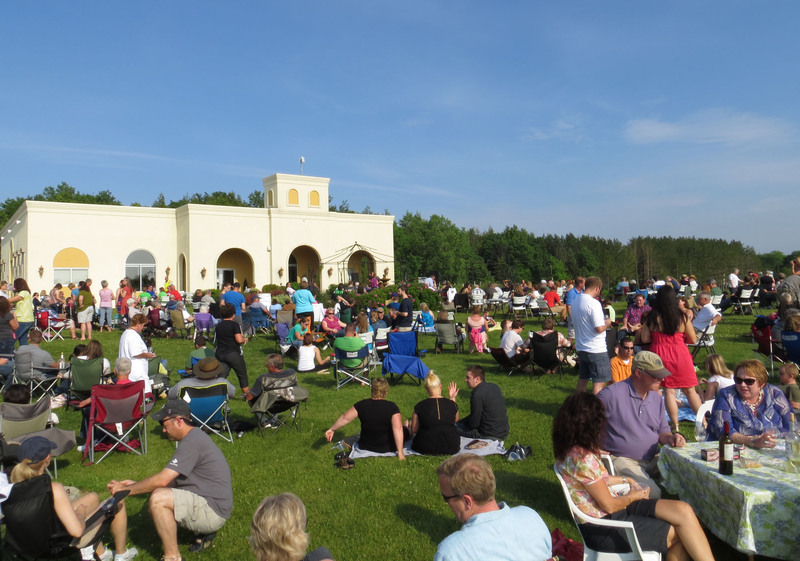 Many of the wines will be available at the Wisconsin Winery Association wine building during the Wisconsin State Fair which runs August 1st through August 11th. Heather Harrison owns and operates Wisconsin Beer and Wine Tours in Milwaukee. 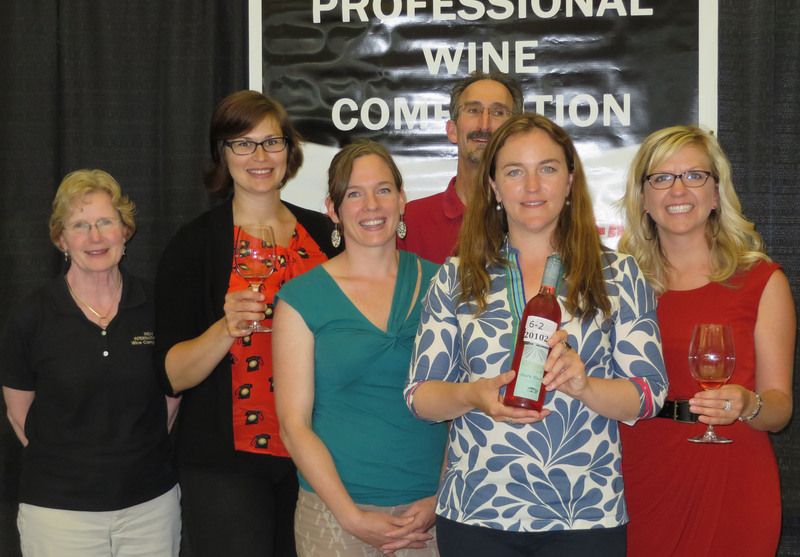 Very well written summary of the Professional Wine Judging event at the State Fair. We amateurs in the Wisconsin Vintners Association were equally impressed with Wisconsin wines and the quality of this year’s judging team. Bravo! It was a great opportunity to be amongst such knowledgeable judges and wonderful wines. The associations involved in planning and executing the event made it look so effortless, which it so obviously wasn’t. Thank you for all hard work.